THE FRUITS OF : ARBITRARY POWER; OR THE BLOODY MASSACRE, : PERPETRATED IN KING-STREET, BOSTON, BY A PARTY OF THE XXIXTH REGT. : IN WHICH MESS. SAM. GRAY, SAMUEL MAVERICK, JAMES CALDWELL, CRISPUS ATTUCKS, PATRICK CARR, WERE KILLED. . . . Image size 8 13/16 x 8 5/8" (22.9 x 21.9 cm). Publisher : Printed for and sold by W. Bingley, in Newgate-Street, Price 6d. Title continues "Six others were wounded, two of them [Christopher Monk and John Clack] mortally." Including four additional columns of text below the image, and two printed remarks. 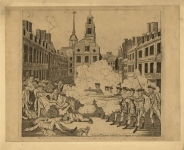 The Boston Massacre is the most important image produced prior to the formal start of the Revolutionary War. The image is often credited to Paul Revere. However, it was first produced by Henry Pelham. 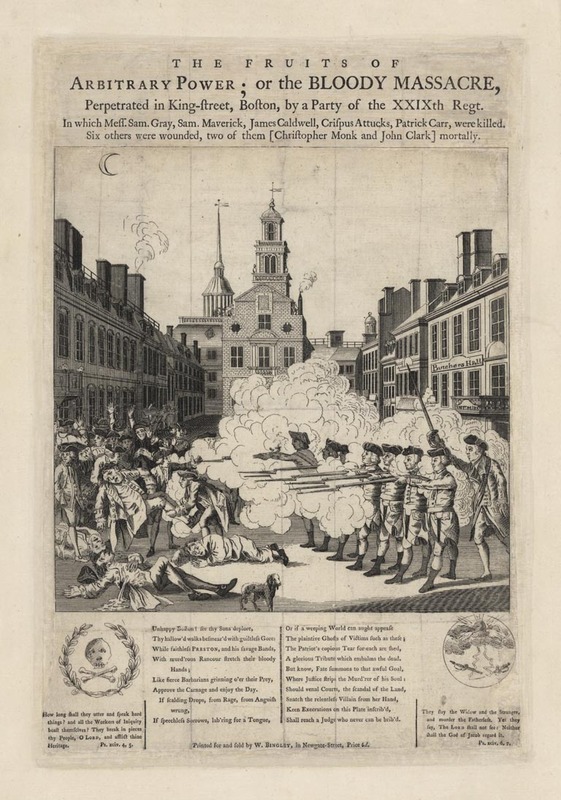 Revere managed to get a proof of the Pelham image and created his iconic image titled “Bloody Massacre…” There is a strongly worded letter from Henry Pelham to Paul Revere, dated March 29, 1770, accusing Revere of pirating his image. What is also known is that Paul Revere beat Henry Pelham in the release of his image to the public. There were four variations of this image produced in 1770. The first was Henry Pelman; the second Paul Revere; the third Jonathan Mulliken; and the fourth by Bingley in London. Others were produced in the years leading up to the start of the Revolutionary War. 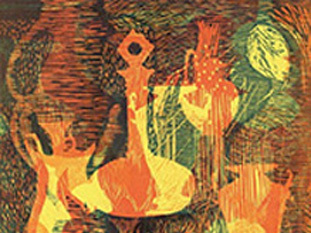 The Henry Pelham engraving exists in two or three known Impressions. The image is very similar to the Revere, changes include the adding of “Butchers Hall” above the customs house. He also changed the title and text position. 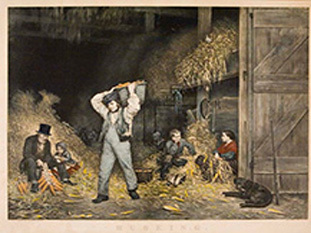 The Paul Revere engraving is the most famous and the most common. Brigham states in “Paul Revere’s Engravings” that Revere had Edes & Gill print 200 impressions of the Massacre, and at least 70 impressions exist today. The Mulliken impression closely copies the Revere image in title and compositionally. It is extremely rare known in fewer than fifteen impressions. Johnathan Mulliken was a clock maker in Newburport , this is the only printed engraving he produced. Bingley or the English engraving was produced later in the year 1770, it is also very rare known in a handful of impressions. Compositionally it is similar to the Henry Pelham image with changes added by Paul Revere, notably “Butchers Hall.” It is therefore believed that the English engraver likely had both the Revere and Pelham images in front of him when he made this engraving.